Protesters supporting Nevada rancher Cliven Bundy outside the federal courthouse in Las Vegas. Carol Bundy, wife of jailed Nevada rancher Cliven Bundy, maintains her husband is a political prisoner and did nothing wrong. A federal judge in Las Vegas on Friday will consider a motion to delay the start of next week's high profile trial of Nevada rancher Cliven Bundy and his militia associates. In two motions filed by one of the defendants in the 2014 Bunkerville armed standoff this week, the court-appointed attorneys for militia sympathizer Ryan Payne argue that the trial should be delayed in light of Sunday's shooting rampage in Las Vegas at a country music concert that left 59 dead and almost 500 injured. In the first motion they write: "It is clear that this unprecedented act of violence will prevent the defendants from having a fair trial in this city one week from now." The second amendment and gun ownership as a form of protest more broadly has featured prominently in the federal government's cases against Cliven Bundy and the 18 other men accused of leading an armed standoff with federal agents near Bundy's ranch in 2014. Cliven Bundy has refused to pay more than a million dollars in grazing fees to the federal government because he says he doesn't recognize the government's ownership of public lands. Payne, who was present at the standoff and also pleaded guilty for his role in the 2016 armed occupation of the Malheur National Wildlife Refuge in Oregon, is asking Judge Gloria Navarro for a delay until the end of this month or move the trial to Reno. In the motion, his attorneys argue that Sunday's shooting has already prompted a broader discussion about guns "with much negative attention focused on a perceived laxity of gun laws and on persons who choose to bear and carry high-powered firearms, which is legal in Nevada." 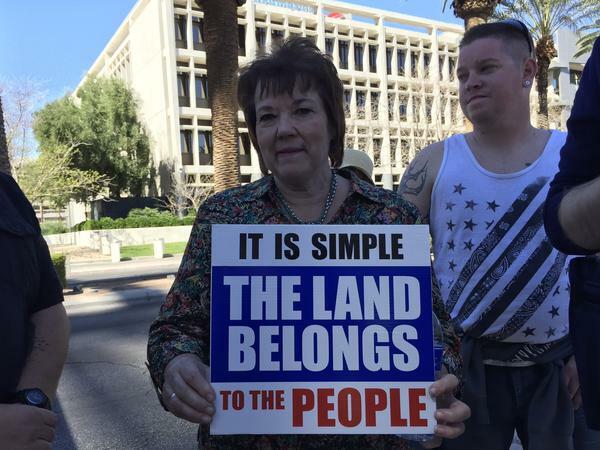 Among other things, prosecutors in the upcoming trial will argue that the militia men were brandishing guns during the standoff, posing a clear threat to Bureau of Land Management agents who had come to round up Cliven Bundy's cattle that were grazing illegally. The Bundys and their sympathizers have maintained they were exercising their Second Amendment rights as a form of protest. Ian Bartrum, law professor at the University of Nevada Las Vegas, says Payne's motion is consistent with the defense strategy in earlier trials about the standoff, and in the Oregon case, relying on jurors who sympathize with the men's attitudes toward the federal government and perceived federal overreach. "I can't imagine they'd want to pick that jury or go to trial now," Bartrum says. Even though jurors will be chosen from a broad pool across southern Nevada, it's a good bet that most will hail from the Las Vegas metropolitan area, a community that's still grieving from one of the deadliest mass shootings in American history. Still, that hasn't seemed to have deterred the most high profile defendant in the case, Cliven Bundy himself, who in a new twist filed an objection to Payne's motion on Wednesday. In a separate court filing, his attorney Bret Whipple writes that Bundy continues to demand a speedy trial: "which has been denied for more than a year." Cliven Bundy was arrested in Oregon in February 2016 and has been detained in Nevada awaiting trial since. The judge is expected to rule from the bench Friday on whether the trial will be delayed. 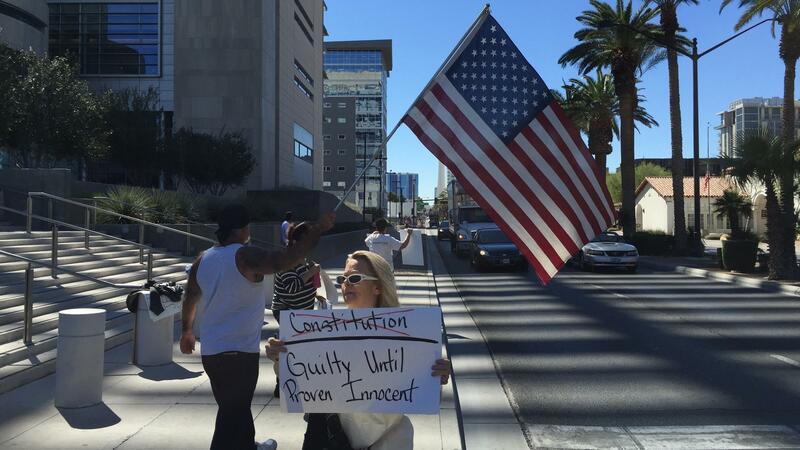 If it's not, jury selection begins in Las Vegas Tuesday morning.